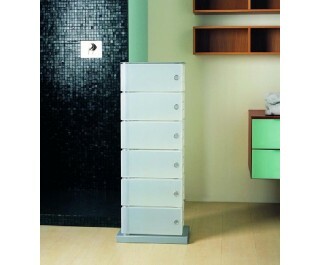 Shoe rack, multipurpose container of opaline, in grey and opaline white colour or pearl white polypropylene. Base and top of painted metal or natural wood. 6 or 10 drawers.